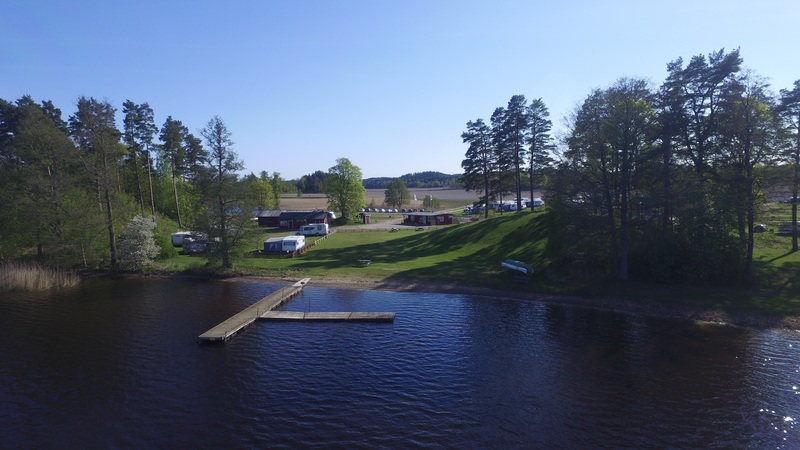 The camping is located on a very scenic hill by the lake Alsen. It’s the most northern part of the big lake Vättern. 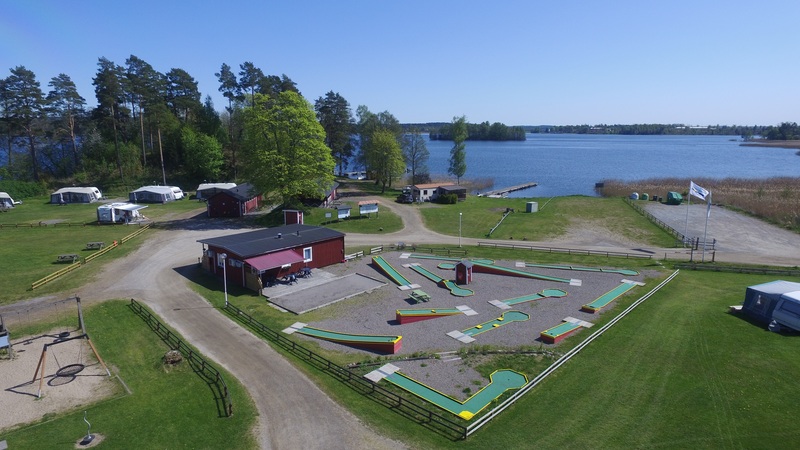 Husabergsudde has rich history which can trace back to the time of the vikings. A story tells that there might be some treasures were buried in the area. 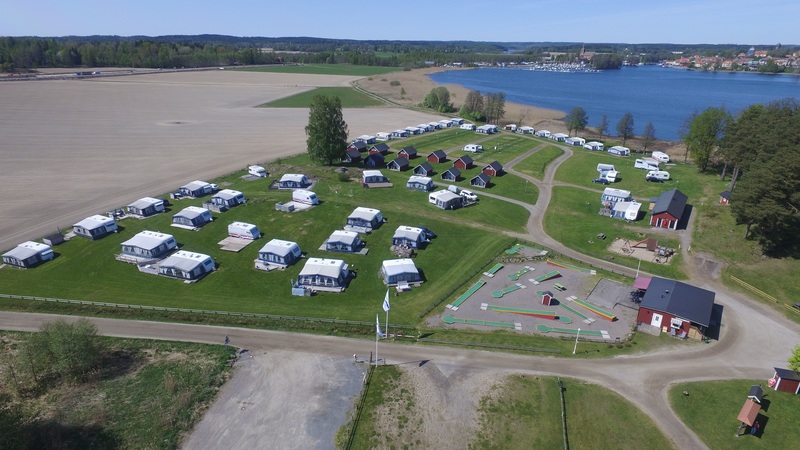 From the camping, people can take a walk or ride bicycle along the lake to Askersund city or to the castle of Stjernsund. It is only 1.5 kilometers from the city center of Askersund. 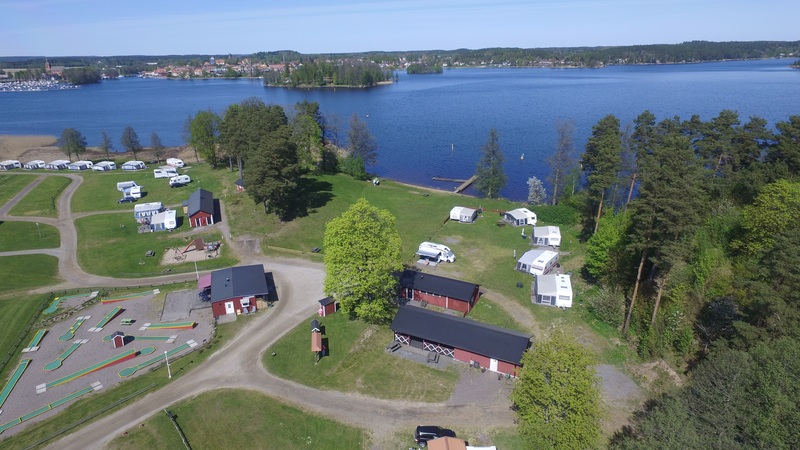 There are 115 camping places for caravans and motor homes with electricity. We also provide nice places for setup tents next to the lake. In the service store, you can buy the most necessary basic food, ice cream and soda. During the high season, you can buy fresh-baked bread every morning. The miniature golf course behind the reception was new built in 2008. You can rent canoes, kayaks, rowing boats and bicycles. Fishing onshore is free but you must have a fishing card if you want to fish on a boat. You can buy the fish card at the reception desk. 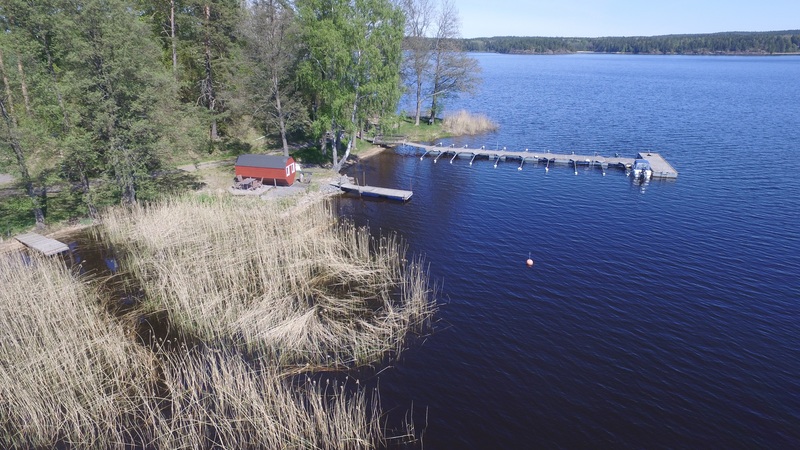 The bathing place is shallow for a long way and child-friendly with sand and grass area. We also have a children playground. In the year 2005 the service building was complete modernized.